It is for information of all the concerned candidates appearing in the written test for the post of Medical Officer (Allopathic) in Health & Medical Education Department which is scheduled to be held on 02.12.2017 (Saturday) from 02:00 Pm to 04:00 Pm, that the Admit cards have already been uploaded on the Commission’s website. The candidates are advised to download the same from Commissions website i.e www.jkpsc.nic.in. In case a candidate who has applied for the said post but fails to get his/her e-Admit Card through any of the source mentioned in the notice, he/she may immediately contact on or before 28.11.2017 the Commission’s Office at Resham Ghar Colony Bakshi Nagar, Jammu or Camp Office Solina Rambagh, Srinagar , with the proof of submission of Online Application Form/Bank Challan duly stamped and thereafter no claim whatsoever shall be entertained. Whereas, the Commission notified the date for the conduct of the Examination for the post of Medical Officers (Allopathic) in Health & Medical Education Department vide Notice No. 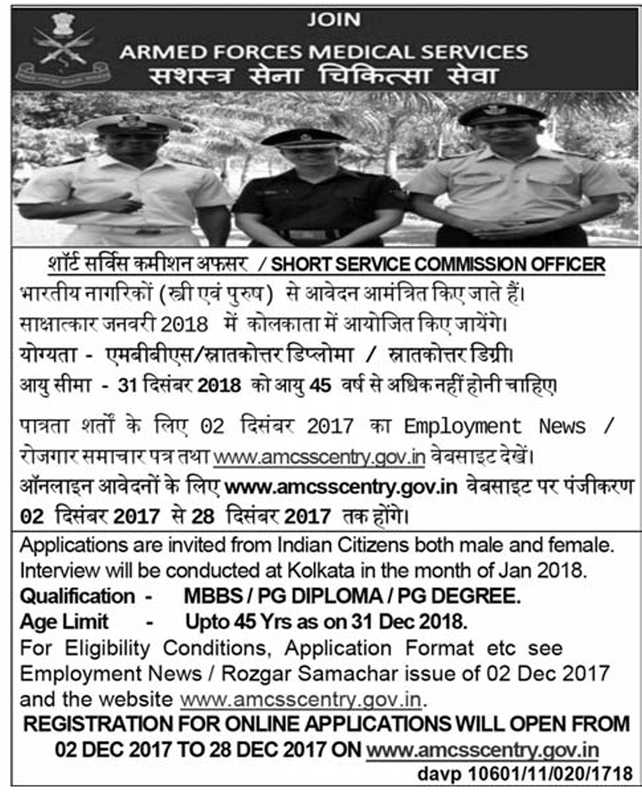 PSC/Exam/06/ST/17 dated: 24.08.2017 and PSC/DR/AE(Elect)/MO(Allopathic)/2017 dated: 12.10.2017 on Computer Based Recruitment Test Module (CBRT) ; and whereas, the Commission roped in a Professional Agency/Service Provider of Government of India for conducting the aforesaid examination on the scheduled date i.e. 02.12.2017; and whereas, after finalizing the arrangements and laying down the roadmap for conduct of the aforesaid examination, the service provider, at a crucial stage, exhibited their inability to conduct the examination on the scheduled date and time due to IBPS Examination(National Level) which is also scheduled on 02.12.2017 and also informed the non-availability of required number of nodes at Srinagar Centre and instead proposed to shift 889 number of candidates from Srinagar to the Jammu Centres; and whereas, the Commission in order to avoid any inconvenience to the candidates and to prevent any further delay as may occasion due to the postponement of the examination, has decided to conduct the aforesaid examination on the scheduled date and time i.e.02.12.2017 as per the examination process in vogue i.e. using OMR Sheets having the provision of detachable carbon copy for the candidates. 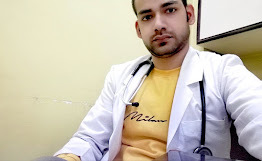 Now, therefore, it is notified for the information of all the concerned that the examination for the posts of Medical Officers (Allopathic) in Health & Medical Education Department shall now be conducted on the already notified date i.e. 02.12.2017 using OMR Sheets in place of Computer Based Recruitment Test as was notified earlier vide Notice No. PSC/Exam/06/ST/17 dated: 24.08.2017 and PSC/DR/AE(Elect)/ MO(Allopathic)/2017 dated: 12.10.2017. The Union Cabinet chaired by Prime Minister Shri Narendra Modi has approved creation of National Testing Agency (NTA) as a Society registered under the Indian Societies Registration Act, 1860, and as an autonomous and self-sustained premier testing organization to conduct entrance examinations for higher educational institutions. · The NTA would initially conduct those entrance examinations which are currently being conducted by the CBSE like NEET. · Other examinations will be taken up gradually after NTA is fully geared up. · The entrance examinations will be conducted in online mode at least twice a year, thereby giving adequate opportunity to candidates to bring out their best. · In order to serve the requirements of the rural students, it would locate the centres at sub-district/district level and as far as possible would undertake hands-on training to the students. · NTA will be chaired by an eminent educationist appointed by MHRD. · The CEO will be the Director General to be appointed by the Government. · There will be a Board of Governors comprising members from user institutions. · The Director General will be assisted by 9 verticals headed by academicians/ experts. NTA will be given a one-time grant of Rs.25 crore from the Government of India to start its operation in the first year. Thereafter, it will be financially self-sustainable. Establishment of NTA will benefit about 40 lakh students appearing in various entrance examinations. It will relieve CBSE, AICTE and other agencies from responsibility of conducting these entrance examinations, and also bring in high reliability, standardized difficulty level for assessing the aptitude, intelligence and problem solving abilities of the students. In view of the need to have a specialized body in India like the most advanced countries, the Finance Minister in the Budget speech of 2017-18 had announced setting up of a National Testing Agency (NTA) as an autonomous and self-sustained premier testing organization to conduct all entrance examinations for higher educational institutions. Resident doctors of SK Institute of Medical Sciences, Soura have demanded that their pay be brought at par with their counterparts in AIIMS New Delhi and threaten to go on strike if the authorities failed to do so.